Expect two striking masterclasses in Alex Lohoré vs Tim Barnett and Jai Herbert vs Joe McColgan, and a potential sleeper pick for fight of the night when Håkon Foss takes on Welshman Aaron Khalid. And that’s not all. 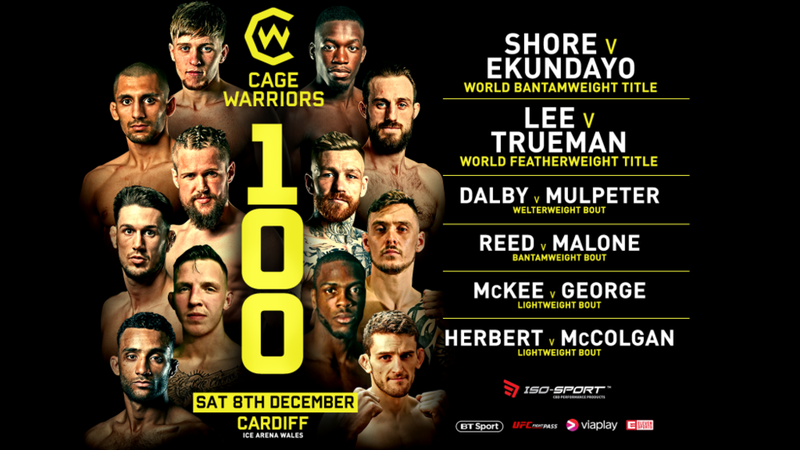 Before the CW100 pro card, the Cage Warriors Academy Grand Prix finals will see Europe’s top amateur talent compete for a pro contract, after fighting their way through the quarter and semi finals throughout 2018. It’s all to fight for.